Your attic could be housing a treasure trove and you don’t even know it. Things that you think are old pieces of junk could be valuable antiques. Sometimes old items can be worth a pretty penny and can fetch you anywhere from a few hundred to a few thousand dollars. There are people who collect vintage perfume bottles. There are actually entire auctions devoted solely to these vintage perfume bottles. Their value is estimated by their rareness, glass makers, and other factors. 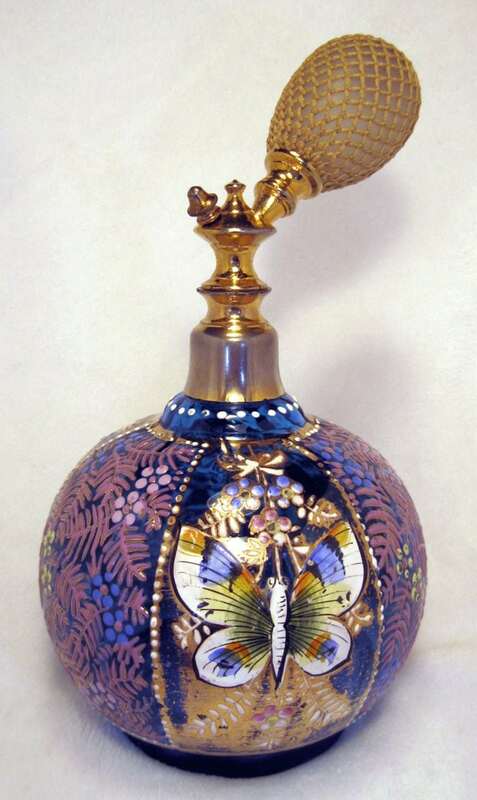 Learn more about the International Perfume Bottle Association here. Typewriters are definitely rarer in the age of computers. But they are favored amongst people who are fans of doing things the old school way. This 1910 No. 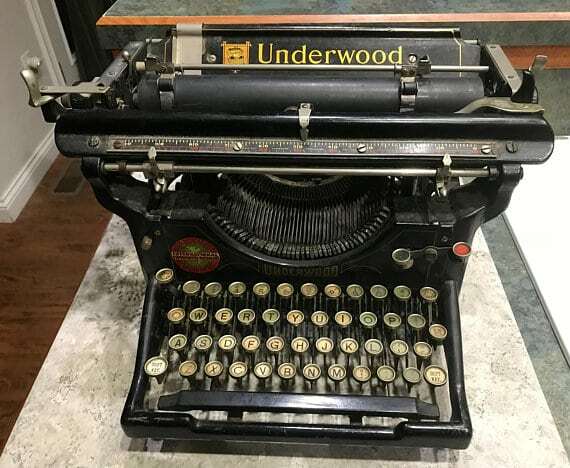 5 Underwood Typewriter is selling for $1,500. 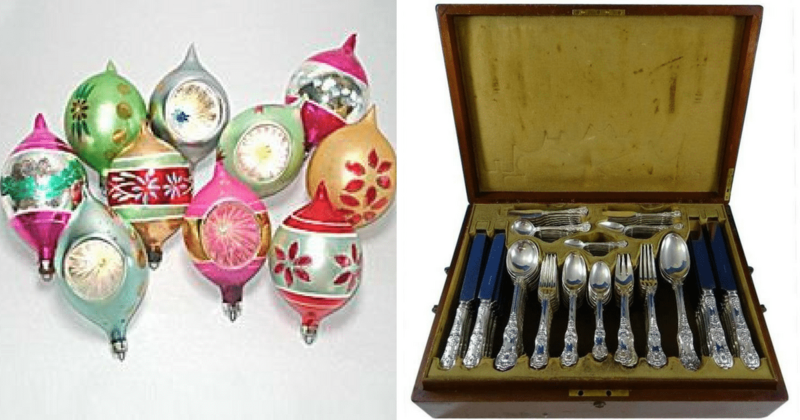 People pass down their quality silverware as a family heirloom. People will even pay for sets that are incomplete though complete sets are much more valuable. Brands like Tiffany and Gorham will get you the big bucks. 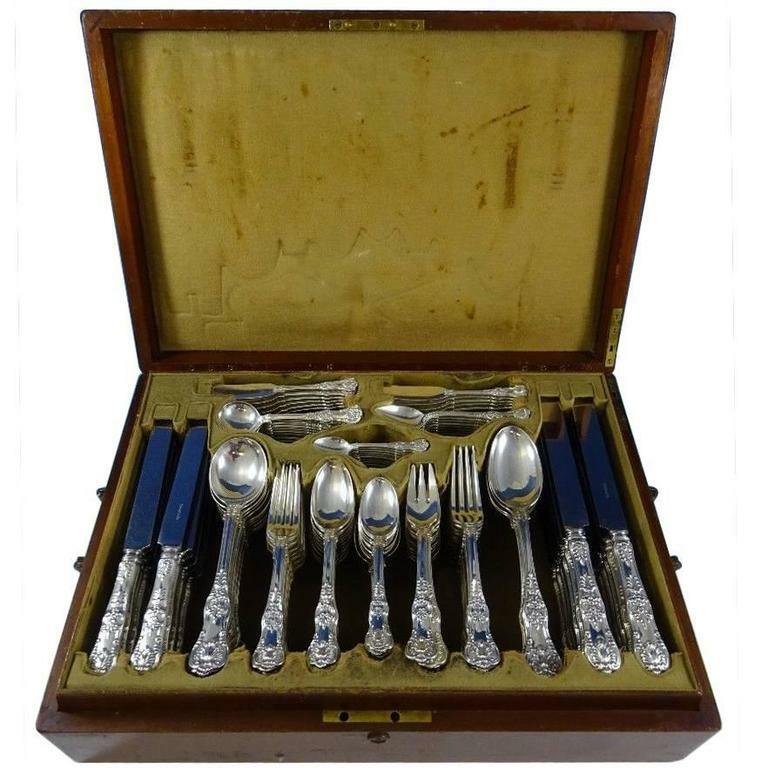 This English King by Tiffany set from 1880-1889 is selling for $21,500. People actually collect vintage safes. Some people will even restore and paint their vintage safes so they can be used today. 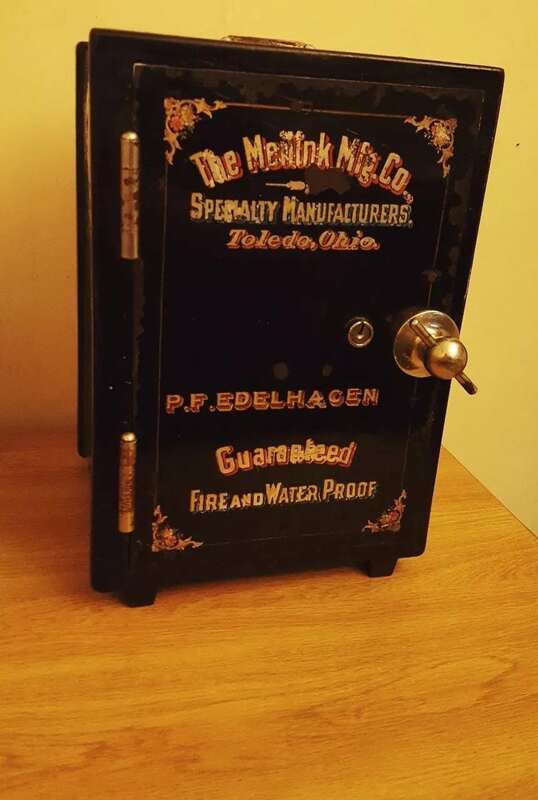 This ultra-rare Meilink Safe is selling for $1,000. 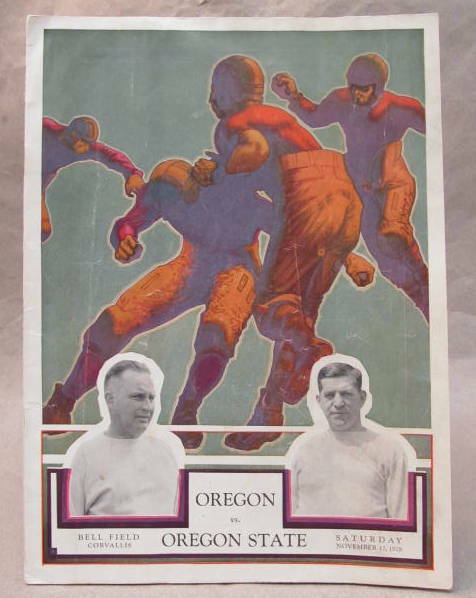 Believe it or not, you can make a pretty penny if you find an old football program in your attic. Vintage programs from Harvard and Yale are collectible items due to the fragile nature of paper. The one below from Oregon vs. Oregon State is going for $200. 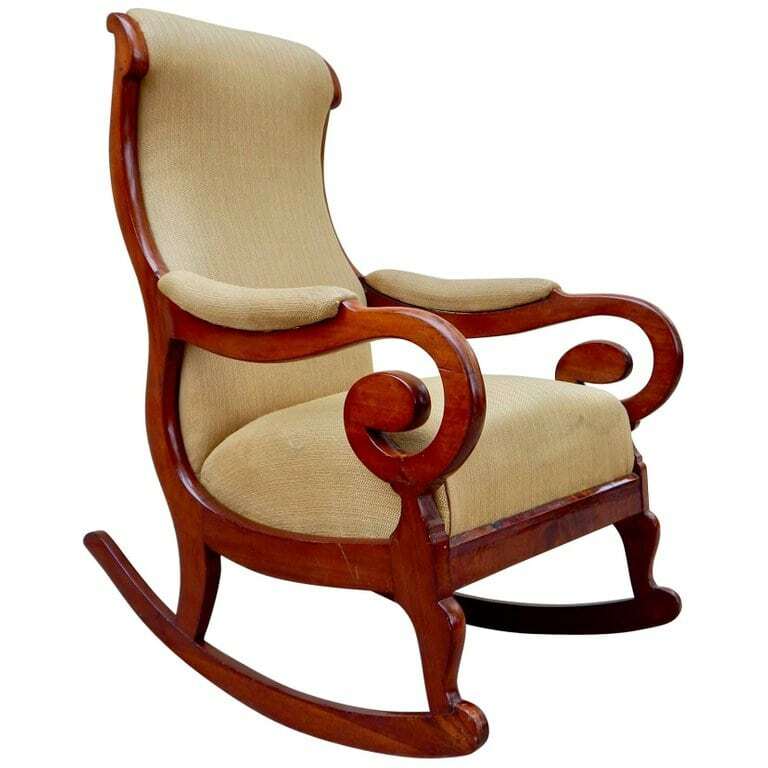 Vintage rocking chairs are also sought after antiques. Many of them are admired as handcrafted, artisan pieces. This one from 1850 is worth $2,900. Most old land deeds aren’t rare or worth squat. What makes some of them valuable is when they are deeds that are historical or belonged to famous or well-known people. 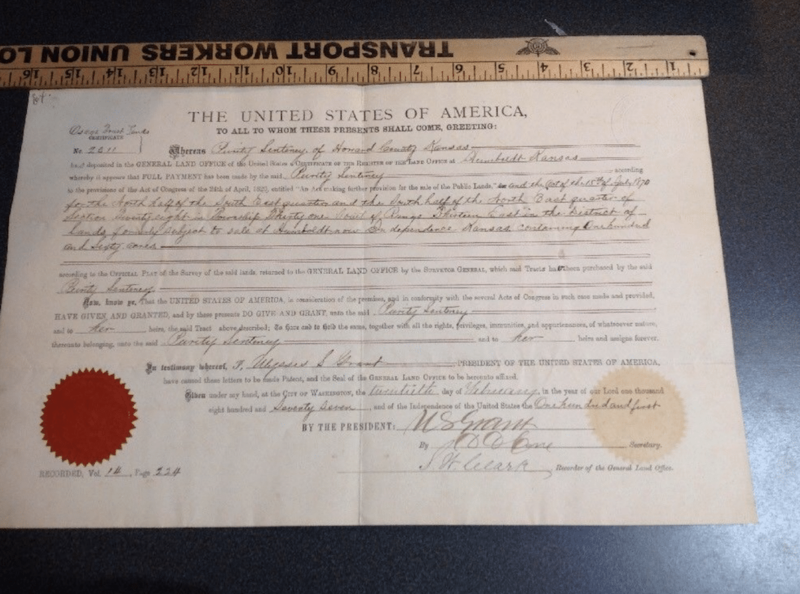 This 1877 land deed that grants land to a female is going for $145. First editions of books can be super valuable if the book was popular. Sometimes they can contain errors which make them even more rare. 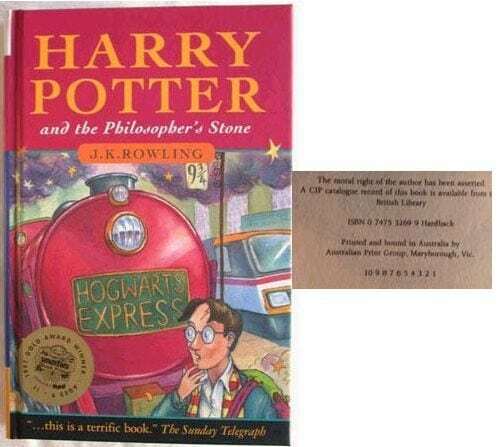 The first 500 copies of Harry Potter have a typo and those books are worth between $40,000 and $50,000. Louis Vuitton trunks are expensive now. But if you have some old vintage ones you can get thousands for them. 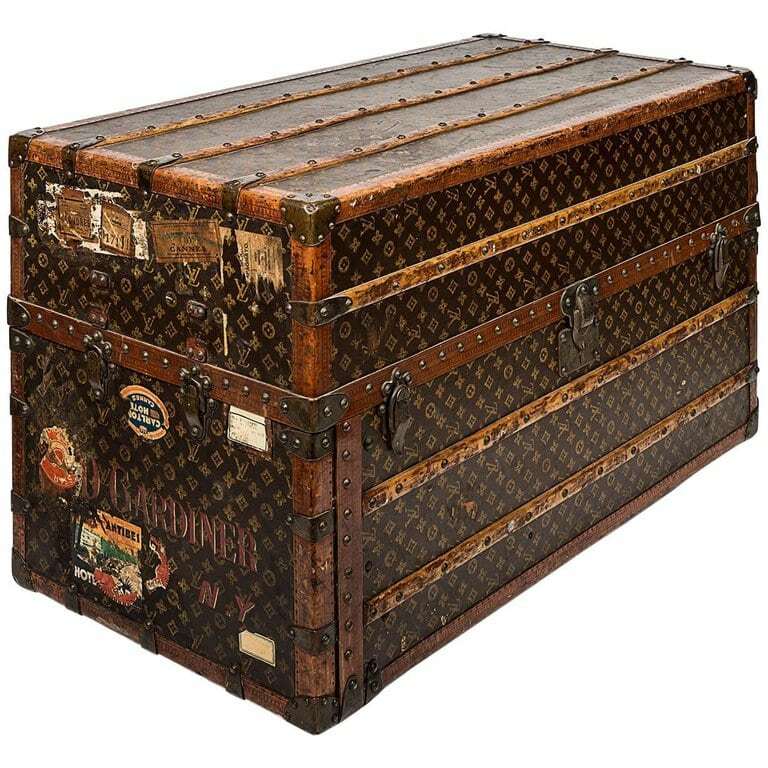 This early 20th century travel wardrobe trunk is going for $25,000. 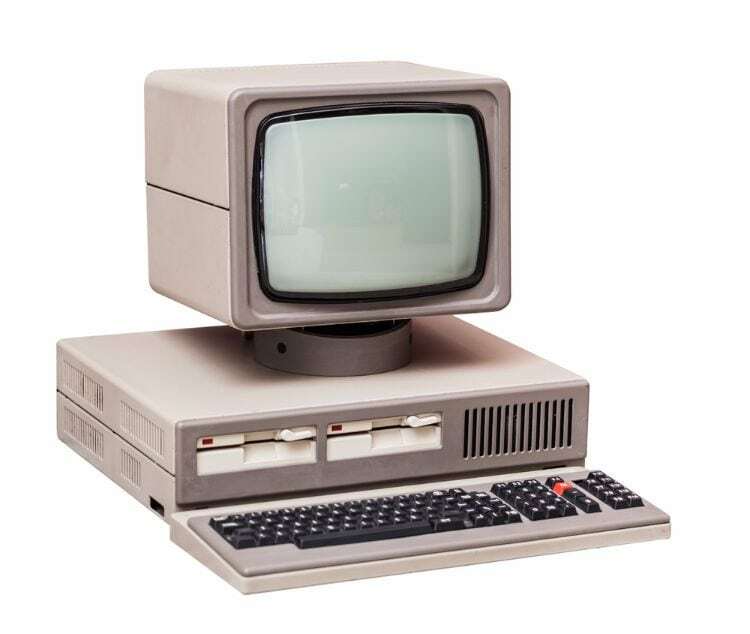 It make look like an old hunk of junk, but computer enthusiats will pay a lot for some of the first personal computers to exist. Many old Apple computers go for big bucks. One even sold for $900,000 according to Elle Decor. Old musical instruments can also get you big bucks. And they don’t even have to be that old. 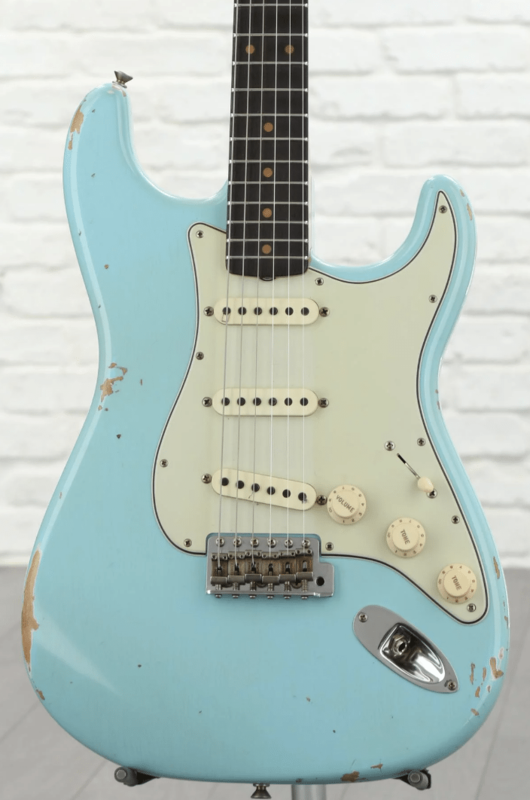 Guitars like a 1960s Fender Stratocaster that hasn’t been used can be worth a heck of a lot. This one is going for $3,800. Lots of people keep their children’s toys long after they’ve grown up. And if your a parent whose done that, you could be in luck. 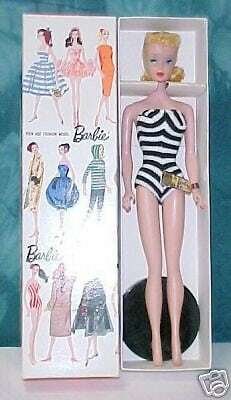 First edition Barbie dolls in the original box with all their pieces can be worth between $9,000 and $10,000. 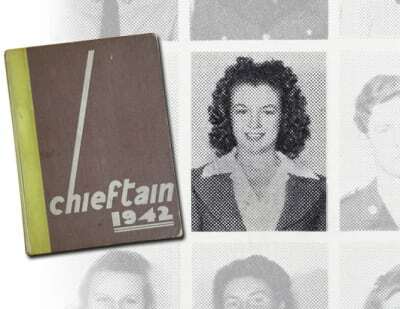 You might want to go through all your families old yearbooks. If there was a famous person in any of those classes, your signed yearbook could be worth big bucks. Marillyn Monroe’s sells for more than $2,000. Lots of people have old Christmas ornaments in their attic. If you have some made from hand-blown glass then they can be very valuable. 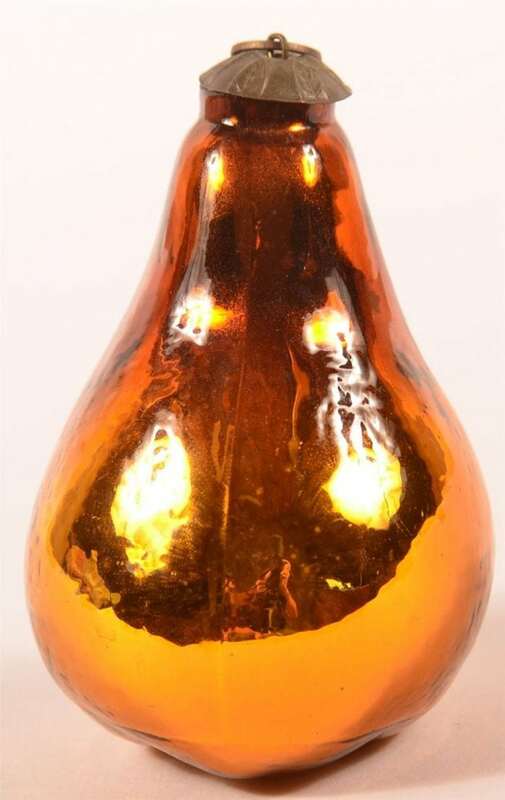 A German pear-shaped ornament called a Kugel that was made between 1840 and the early 1940s went for $18,000. The one below is being bid on for $3,750. Vintage appliances like vacuums and toasters can go for big bucks. Especialy ones in vintage pastel colors. 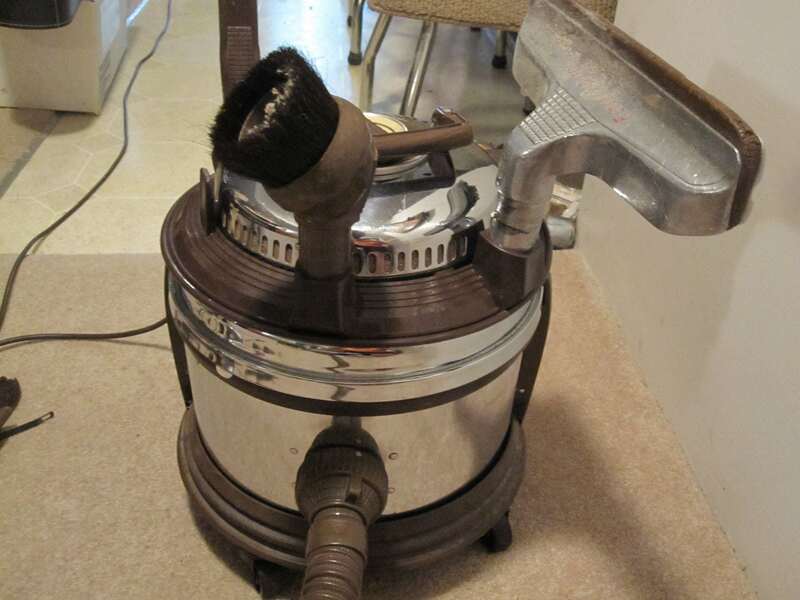 This Vintage Filter Queen vaccum is selling for $599.